The CSR guidelines issued by Bangladesh Bank put special emphasis on reaching out with financial services to the less well-off population segments of the community in order to speed up financial inclusion of the large socially disadvantaged rural and urban population segments; drawing them in with appropriate financial service packages and with financing programs innovatively designed to generate new employment, output and income. 4 SCBs, 3 DFIs, 28 PCBs and 3 FCBs were engaged in self-employment credit and Small and Medium Enterprise (SME) lending programs, taken up solo or in association with locally active Micro Finance Institutions (MFIs). These programs were mainly designed to create productive new on-farm/off-farm employment. The banks also formally recognized their philanthropic obligation towards the promotion and development of small and medium industries sector. 1 DFI has _inanced programs for installation of biomass processing plants and for Effluent Treatment Plants (ETPs) in manufacturing establishments. In order to provide support to small landholder farmers of Bangladesh who play a crucial role in the development of the country, 4 SCBs, 3 DFIs, 25 PCBs and 3 FCBs have disbursed agricultural loans mainly through their rural branches for diversified production of crops, oilseeds, spices, vegetables, fruits etc. by rural households, financing the growers directly or through suitable intermediaries in the value chain, and have provided credit support for combinations of farming activities. Concurrently, credit lines are also extended to different NGOs to support the initiatives for agricultural development and alleviation of poverty in the rural areas. 2009 and 2010. 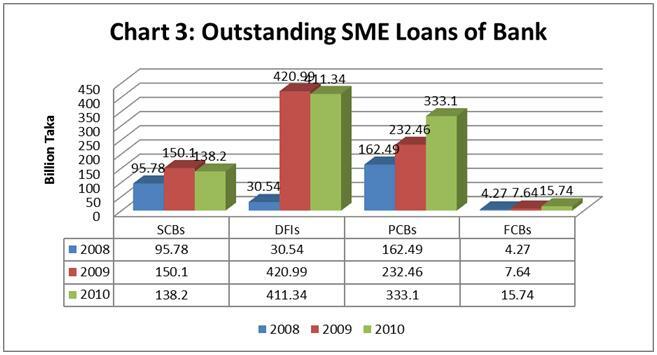 Involvement of SCBs in SME lending does not show signs of stable upward trend. The engagements of PCBs however, have been in significant upward trend. Involvement of FCBs even though small in absolute size, is also showing signs of steady increase. 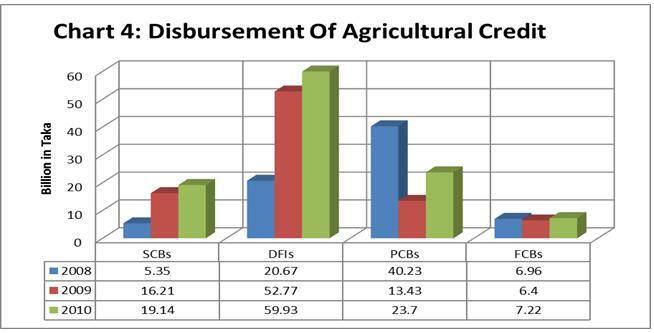 Chart 4 shows the trends of outstanding agricultural credit. Here again, the DFIs have dominant role, because of statutory obligation of two DFIs (BKB, RAKUB). 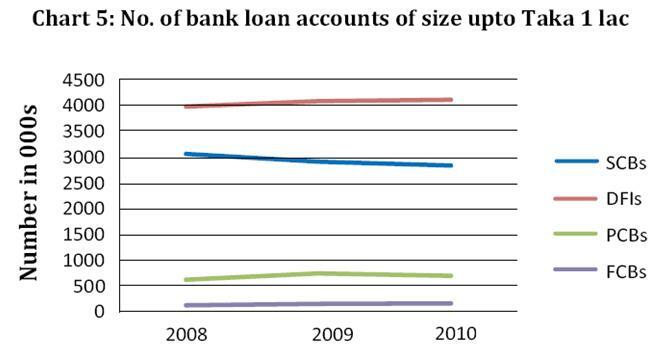 The volume of credit outstanding is no firm evidence of extent of financial inclusion per se however, chart 5 plots the trend of number of small sized bank loan accounts, a plausible proxy for increase in number of agricultural and small enterprise loan accounts and hence for financial inclusion. Trend lines in the chart indicate that the positive results from the CSR and other current initiatives for broadening financial inclusion are yet to show up with prominence. 25 PCBs and 4 FCBs patronized a number of health care organizations by way of financial support to them. Disaster Relief also received due attention as 3 SCBs, 2 DFIs, 25 PCBs and 8 FCBs have provided donations to Relief and Rehabilitation Programs for the people affected in different natural calamities. On the other hand, as shown in the following table, only 12 banks out of 30 PCBs and 3 banks out of 9 FCBs have conducted direct social interventions, both as sustainable/continuous projects or occasional remedial measures. These banks actually tried to enrich economic and social indicators of the society by way of reducing poverty, giving standard health care service, proper nutrition, and ensuring environment friendly society for the present and future generation. Having considered education as a tool for social change, 8 PCBs and 1 FCB have chalked out programs with a view to remove the access barrier of some of many economic hardship-hit estimable students to their desired level of education by providing scholarship, fellowship, infrastructural development, etc. Since a large number of poor people in our country are deprived of the opportunity to cure their health problem, 4 PCBs and 2 FCBs have established permanent health projects to reduce their sufferings. Bangladesh lies in a natural calamity-prone area where floods, cyclones and other natural calamities often occur. Some Banks have always been at the service of the people afflicted by the natural calamities. 5 PCBs and 1 FCB have taken direct steps to provide aid and rehabilitation program they considered necessary to the group of people affected in different natural disaster. 1 PCB and 1 FCB have some projects covering Art & culture aspects. 5. 1 PCB and 1 FCB have environmental project to combat the devastating effects of environmental changes for Green House affects due to Global warming. 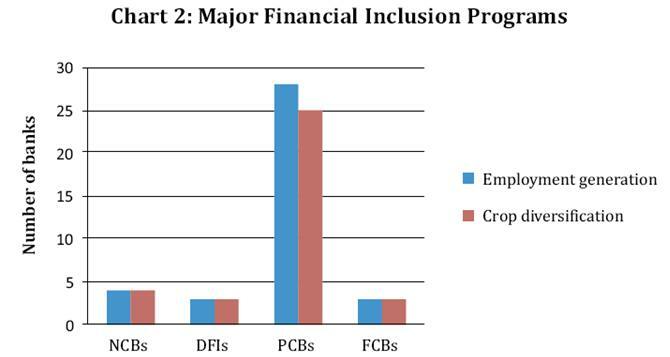 The following figure shows that, 3 SCBs (75%), one DFI (20%) and 29 PCBs (97%) have reported their CSR initiatives as supplements to usual annual financial reports in accordance to the directive of Bangladesh Bank. 1 SCB, 1 DFI and 13 PCBs have reported the CSR activities separately as a chapter in the annual report to make it available in the public domain for perusal by stakeholders. 1 SCB and 11 PCBs have provided details in those supplements. They have reported the action programs along with amount of investment made in each program. 2 SCBs, one DFI and 4 PCBs have included a future plan in the annual financial reports. None of the banks have issued separate reports of their CSR programs and activities in comprehensive standard formats such as the GRI. Additional information had to be asked for in compiling this review, over and above the information provided in annual reports of banks. For convenience of all involved, banks and financial institutions will be well advised to take steps for more elaborate reporting in comprehensive standard formats. They foster a relationship of understanding, trust and creditability with the community, in reciprocating, the citizens acknowledge the significance of their existence. In the financial year of 2009, the bank spent Taka 24,747,500 for CSR activities. Southeast Bank Foundation which is funded by Southeast Bank Limited also carried out CSR activities throughout the year. In recent years, there has been growing recognition and acceptance that the behavior of business houses is an important factor in influencing a wide range of social, environmental, community and ethical issues. Their customers want to be treated fairly. Our regulators want to be confident that their operate within the logical and ethical standard with fairness, transparency and honesty. Their staff members want to be paid competitively and treated with respect. Our shareholders want to be assured that we consider the risks and opportunities while taking business decision and pay good dividend every year. The social spectrum under which we operate desires that we carry on our business responsibly and positively contribute to the society and the environment. They are committed to responsible business practices and to a policy of continuous improvement in applying sound environmental and social standards in their dealings with all their stakeholders. In 2007, they have supported charitable ventures, relief operations, environment protection, education, art, culture, sporting events and have come to the aid of poor people for treatment of serious diseases. They have established Southeast Bank Foundation to do social work for community development. The foundation has provided direct financial support to numerous charities, events and organizations. Their banking business depends on a network of relationship with their customers, employees, shareholders, suppliers, business associates, and the community. Their corporate social responsibility is about addressing the needs of all the parties in a way that both advances the Bank’s business and makes a positive contribution to the society. The main channel we use to discharge our responsibility to the customers is by way of offering financial products and services those truly meet their needs. We strive to maintain the highest standard of ethics in the conduct of our business and feel proud of the trust the customers repose in us. In return, they carry out their every single transaction with them with the highest degree of commitment and transparency without any hidden cost. Our customers are our partners in business and we sincerely Endeavour to improve our relationship with them for our mutual benefit. In their business which is dynamic and growing, they depend on their skilled and experienced human resource at every level in the organization. They offer them very competitive pay package and bonus. There are also provisions for handsome retirement benefits by way of Contributory Provident Fund, Gratuity and Superannuation benefits. They provide them with a safe and congenial work environment. Resultantly, the Bank has come out as an employer of choice. Rapid growth of business of the Bank presents opportunities for talented employees to take added responsibilities. Their employees follow the code of conduct as embodied in the Service Rules and Regulations of the Bank. The employees of the Bank are aware of their Responsibilities to the society. They donated total Tk.0.423 million out of their salary for flood and cyclone hit people of the country in 2007. They are fully committed to the interest of our shareholders. Their constructive suggestions are implemented for the betterment of the company. They release enough disclosures for the information of the shareholders in the Annual Reports, half-yearly financial statements, the print and electronic media and in the Bank’s website. They always try to enhance shareholders value by optimizing financial performance at least cost. They continuously pay good dividends to the shareholders. The number of shareholders of the Bank is increasing which testifies their unshakable trust in the Bank. They continuously try to create a lasting relationship with our suppliers and business associates for mutual growth. Their relationship with them is based on mutual trust and respect. They deal with them in a fair and transparent way. They ensure that their operations are environment-friendly and discourage financing projects contrary to it. They have extended our helping hands to initiatives of community leaders for environment protection and development. They are one of the leading participants in the beautification of DhakaCity. The road-island from Russel Square to Manik Miah Avenue was beautified by our Bank.